We welcome unique projects with extraordinary technical specifications. We can handle special cements, admixtures, and aggregates and have the capacity to control the concrete temperature in both summer and winter. We back up project engineering with quality production. 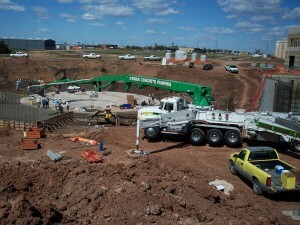 Whether your project requires a few loads or a high rate of placement, we have the plant locations and delivery equipment capabilities to provide massive quantities of concrete under tight time restrictions.